Let’s face it – synthetic perfume and fragrance… STINK! When you discover the sinister chemicals lurking behind these words, you’ll realize they should more appropriately be named Eau de Nausea or Toxic Toilette! 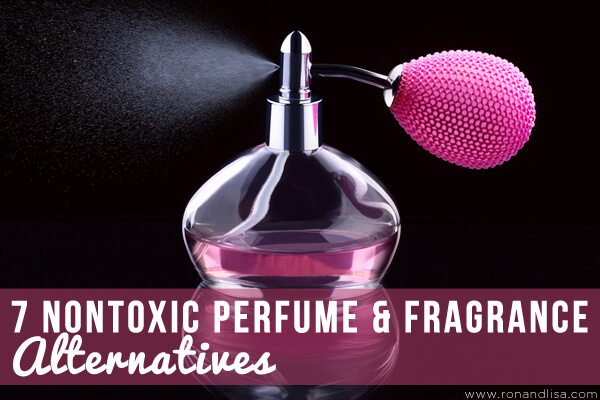 The EPA found the following health problems associated with synthetic fragrance exposure: asthma, fatigue, eye irritation, sinusitis, skin problems, kidney and liver damage, immune system damage, nausea, blood pressure change (drop or rise), cancer, and even death due to respiratory failure. More than 95% of the chemicals used in fragrances are neurotoxic and derived from petroleum (um, ew!). These have been known to be harmful to the brain and nervous system. The term “fragrance,” “fragrance oil,” “perfume oil,” or “parfum” may be masking the presence of phthalates which are often used to disperse fragrance in perfumes (read: Shhhh! The Fragrance Industry: SECRETS Revealed). Environmental Working Group (EWG) researchers found more than 75% of products with the ingredient “fragrance” contained phthalates (THAL ates) which have been shown to reduce sperm counts, linked to thyroid and reproductive disorders, liver and breast cancer. These may be listed as DBP (di-n-butyl phthalate) or DEP (diethyl phthalate) on the ingredients label. So, what’s a stinky gal to do? Go au naturel of course! Thanks to these seven brands who know that you really can have it all by using the power of plants; sans the nasty chemicals. 7.) Trilium Organics – 100% USDA Certified Organic Perfume. No synthetic fragrances here, just pure organic essential oils in an organic jojoba oil base.Price: $20.00 per roll on (or, try a sample for just $2.00)! I never realized how toxic some perfumes could be! Thank you for the list of non-toxic fragrances, I’m going to be more careful when I purchase perfume for now on! Wonderful to hear Lisa! Sooo many people don’t realize the hundreds (yep, hundreds) of synthetic chemicals that can be lurking in perfume, colognes and fragrances. High five to you for being more conscious of your choices and respecting yourself enough to take good care of your health! I have all 3 Ava Scents and love them all. Very long lasting. I combine the Love and Hope. Thanks for sharing! I’m an Ava Love lover, too! A little goes a long way, and the bottle lasts forever! It really does last forever Melyssa. You just need a little dab (ahem, roll) and you are good to go! Likewise Antoinette! Mmmm – love this scent as well! Thank you for sharing the Pure Natural Diva Botanical Perfumes. Just so readers don’t get too scared our 50 ml Signature Bottles are $100-150! The $1250 is a custom one-of-a-kind Fragrance! Hi Lisa and Ron, hope you both are doing well, I just so article that you wrote on non toxic fragrances. Glad to know there are perfume alternatives out there because for me, I am allergic to those toxic perfumes. So great to be able to buy a smell good product without the headaches, literally! Thanks for your comment Meiha! You – and so many other people – are allergic to fragrances/perfumes. Glad you like the above choices. Rose hip oil is used in a variety of commercial and homemade skin care formulations: soaps, lotions, creams, and more. promoting the increase of collagen and elastin levels. Where can we buy some of them? I really want some of these but don’t know where to get them. I prefer buying them in stores. Thanks for your inquiry. There are links for all of the perfumes in the post above. You may have to purchase online. If you live in LA, you can also try Evolue in Beverly Hills who carries a few of the above brands. As far as Taken…there is no such thing as essential oils of peach or mango so that concerns me. I was told you can’t get them from fruits impossible. So im leery. We don’t sell scents, but offer suggestions in our 30-day online program, Change Your Home. Change Your Health in 30 Days. Also, we have an online store if you’re interested in a Healthy Home Consultation or books, Cd’s and other tools to help you eliminate toxins and improve your health ASAP! This is a GREAT question, Bob! You have got our wheels spinning for a new blog post! Keep a lookout as this is an area that isn’t discussed enough. Wow! what a great idea! Really, thank you for the list of non-toxic fragrances, I’m going to be more careful when I buy perfume for now on! You’re welcome, Marry! It is soOo important to avoid synthetic fragrances…that goes for the guys, too!